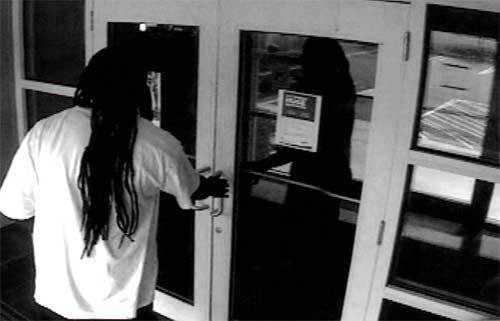 Police release surveillance photos of bank robbery suspect | Crime Stoppers of the Lowcountry: 554-1111 | 1-888-CRIME-SC | Anonymous tips earn cash rewards with Crime Stoppers of the Lowcountry. 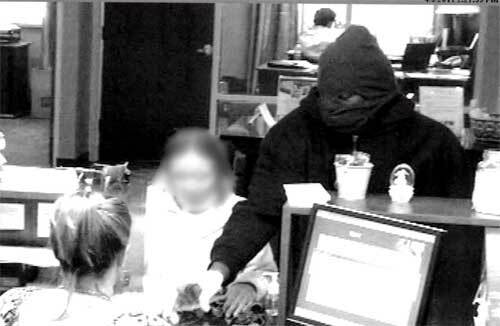 WEST ASHLEY, SC (WCSC) - Charleston Police have released surveillance photos of a man wanted for robbing a West Ashley bank Tuesday afternoon. The Charleston Police Department says that around 2:30 p.m. a man armed with a handgun robbed the NBSC bank at 1870 Sam Rittenberg Blvd. Police describe the suspect as a black male, between 5'8" and 5'9" tall, with dread locks to his waist and wearing a dark coat. If you have any information you are asked to call police.